WOW! 2ct Sterling Silver Princess Cut Earrings ONLY $5 + FREE Shipping (was $130)! You are here: Home / Great Deals / WOW! 2ct Sterling Silver Princess Cut Earrings ONLY $5 + FREE Shipping (was $130)! 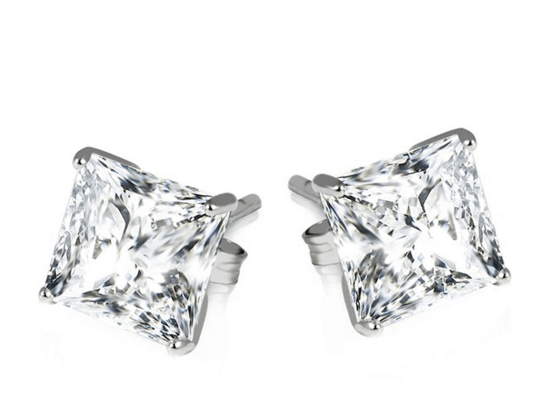 2ct Sterling Silver Princess Cut Earrings ONLY $5 + FREE Shipping (was $130)! How gorgeous are these earrings – and talk about a steal! Snag these 2ct Sterling Silver Princess Cut Earrings for ONLY $5 + FREE Shipping (was $130)!